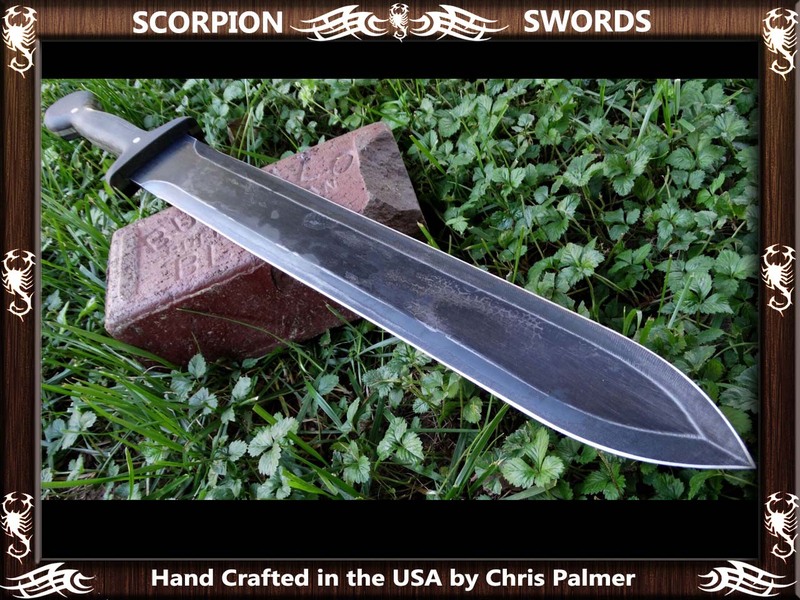 Hand crafted in the USA by Chris Palmer, Scorpion Swords and Knives LLC are some of the most hard wearing, durable and functional swords available at around the US$300 price point around. 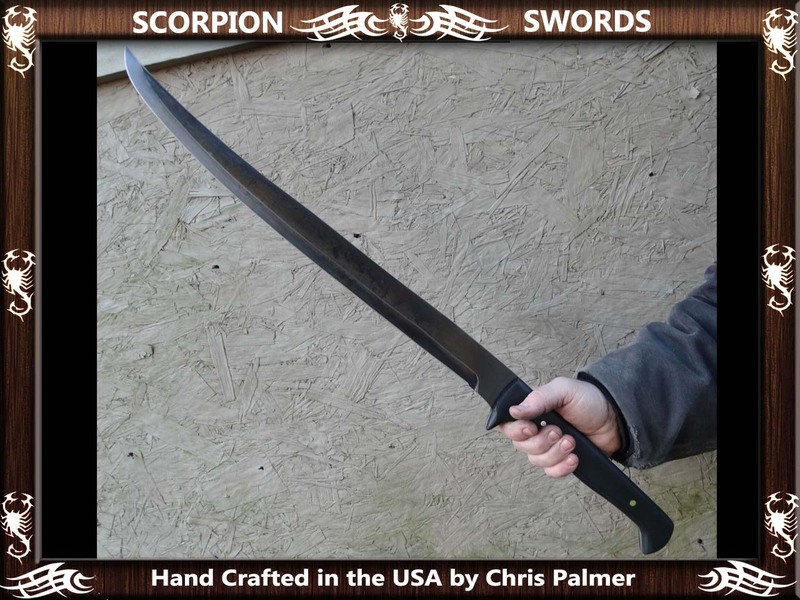 Every sword is made from expertly tempered 1095 carbon steel, with a full length sandwich tang ensuring no moving parts or anything that can break - resulting in a tremendously tough construction that has no peer. FULL CUSTOM SWORD OPTION NOW AVAILABLE!! Design your own Legendary Sword! 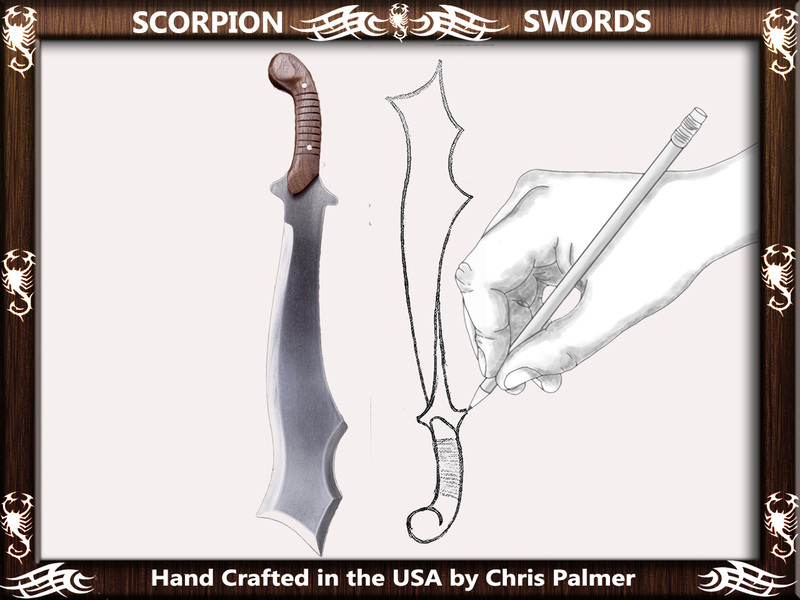 The exact same methods we used to create our exclusive Scorpion Sword blades is now in YOUR hands. 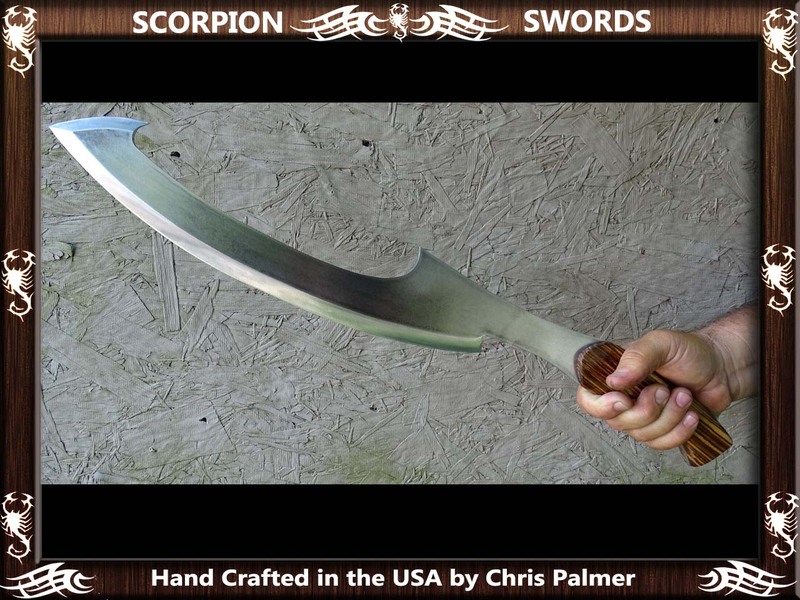 Submit your original design or use the online sword maker generator software. 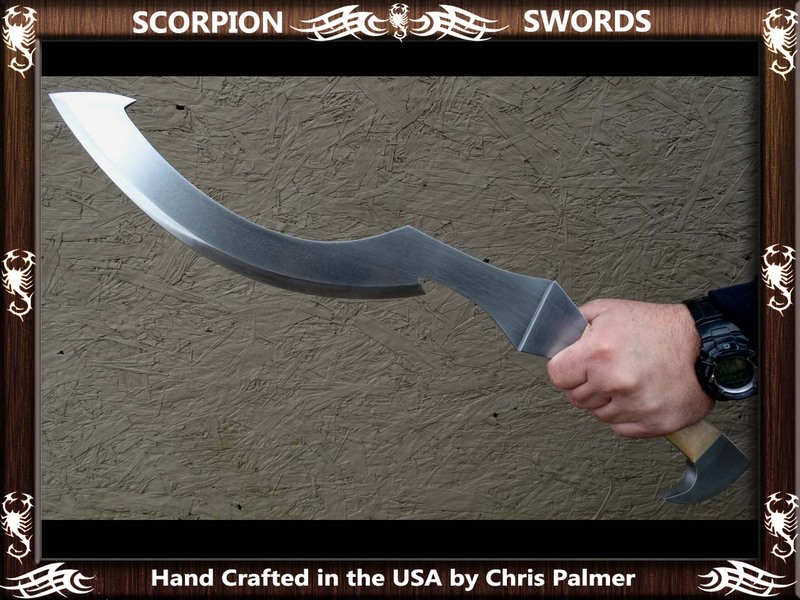 Ultra Durable, fully functional battle ready Fantasy leaf blade sword. 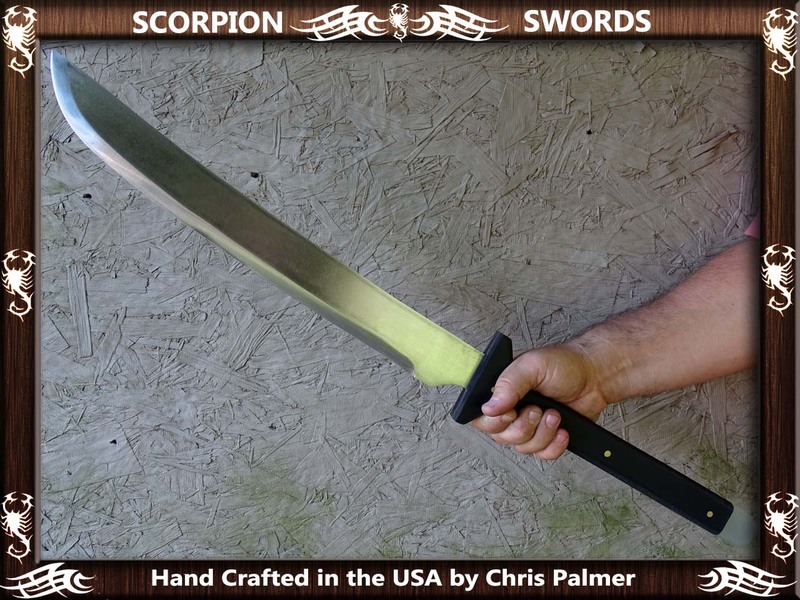 Individually Hand Made by Chris Palmer in the USA. Please allow 6-8 weeks for production and delivery. Ultra Durable, fully functional Fantasy Sword. Individually Hand Made by Chris Palmer in the USA. Please allow 6-8 weeks for production and delivery. Ultra Durable, fully functional Orc style Battle Ready War Cleaver. Individually Hand Made by Chris Palmer in the USA. Please allow 6-8 weeks for production and delivery. Ultra Durable, fully functional Fantasy Chopper based on the brutal war falchions from the Macjiejowski Family Bible. Individually Hand Made by Chris Palmer in the USA. Please allow 6-8 weeks for production and delivery. 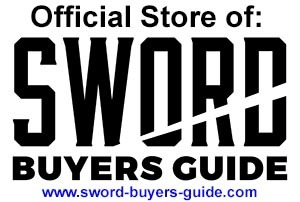 A Sword Buyers Guide EXCLUSIVE! Limited Edition SBG Exclusive Monotempered Ultra Durable Tactical Ko Katana. 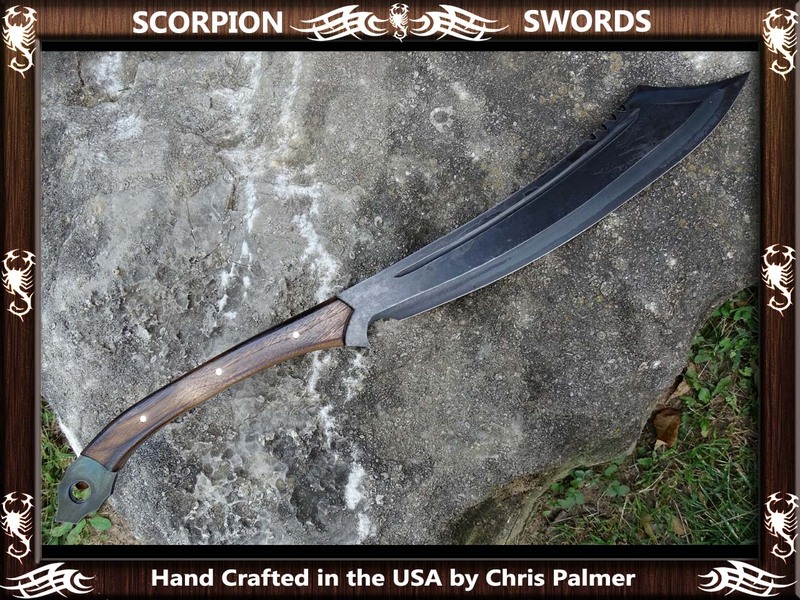 Individually Hand Made by Chris Palmer in the USA. Please allow 6-8 weeks for production and delivery. 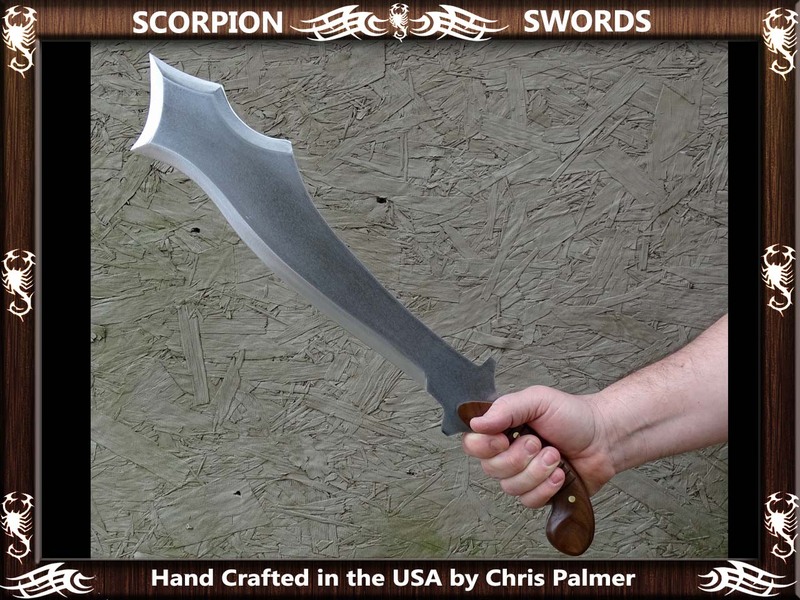 Fully functional tactical version of the ancient Roman Gladius. 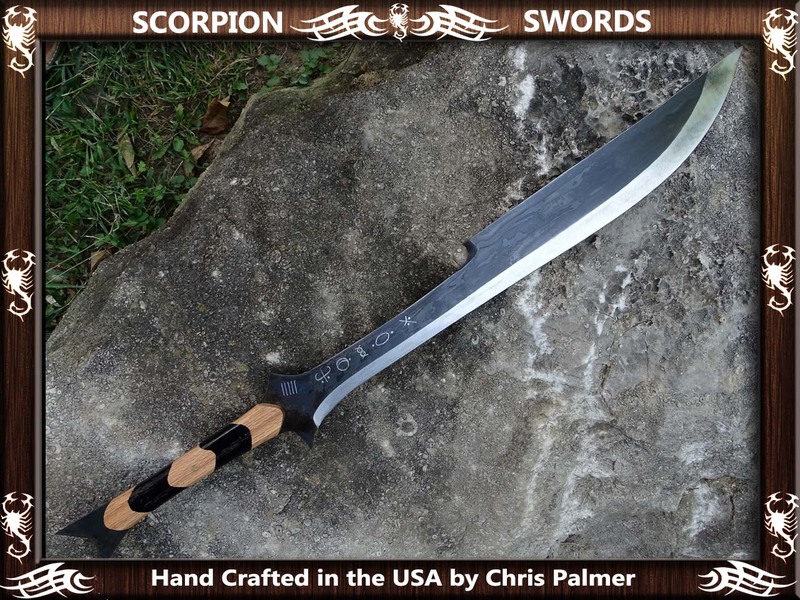 Individually Hand Made by Chris Palmer in the USA. Please allow 6-8 weeks for production and delivery. 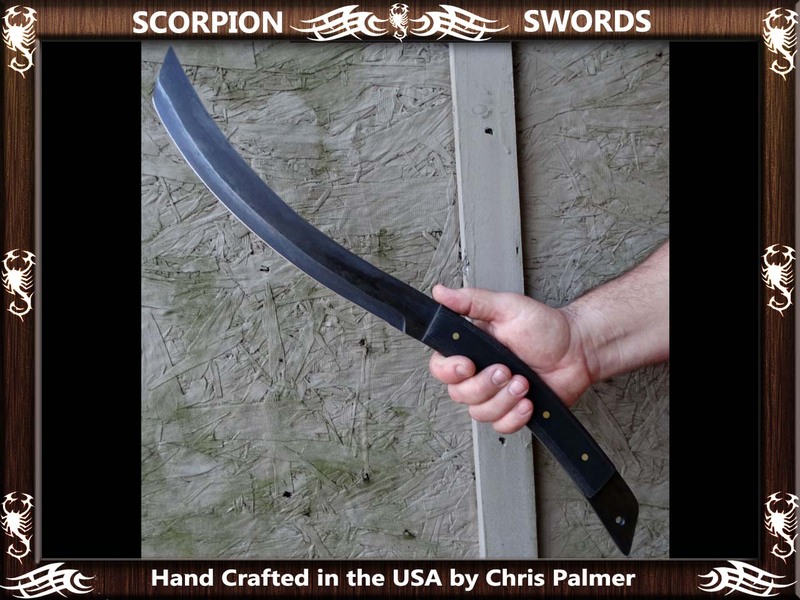 Ultra Durable, fully functional Egyptian Khopesh. Individually Hand Made by Chris Palmer in the USA. Please allow 6-8 weeks for production and delivery. 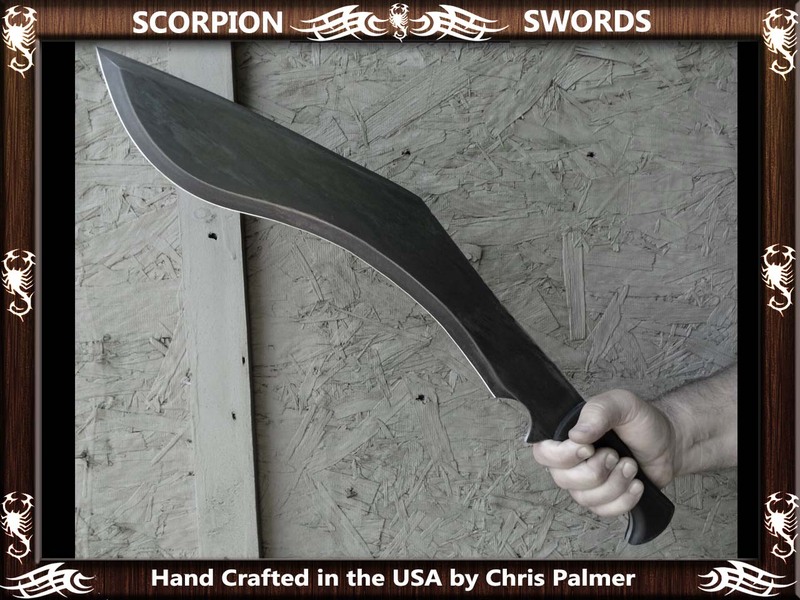 Fully functional blade inspired by the Greek Kopis. Individually Hand Made by Chris Palmer in the USA. Please allow 6-8 weeks for production and delivery. The Ultimate in ultra durable zombie killing blades is here! Individually Hand Made by Chris Palmer in the USA. Please allow 6-8 weeks for production and delivery. 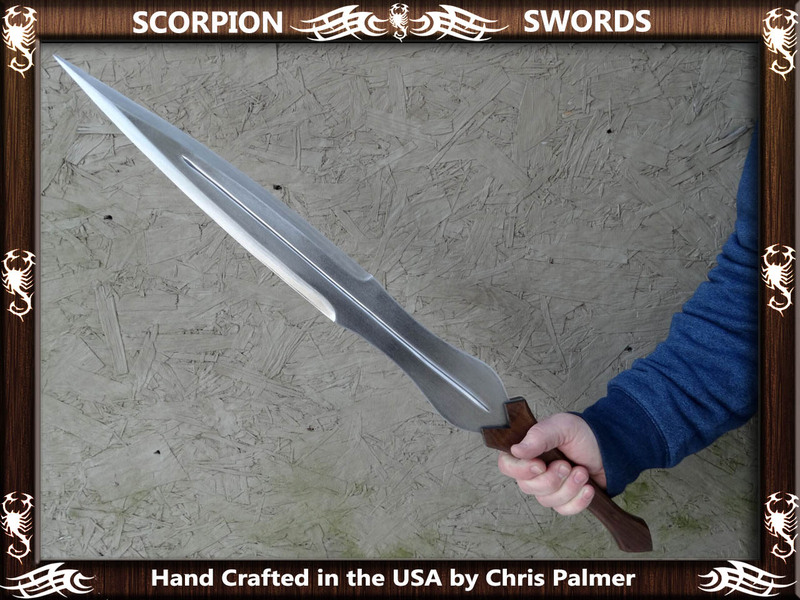 Fully functional Achilles Sword inspired by the movie 'Troy'. Individually Hand Made by Chris Palmer in the USA. Please allow 6-8 weeks for production and delivery. Ultra Durable, fully functional Tactical Chopper! 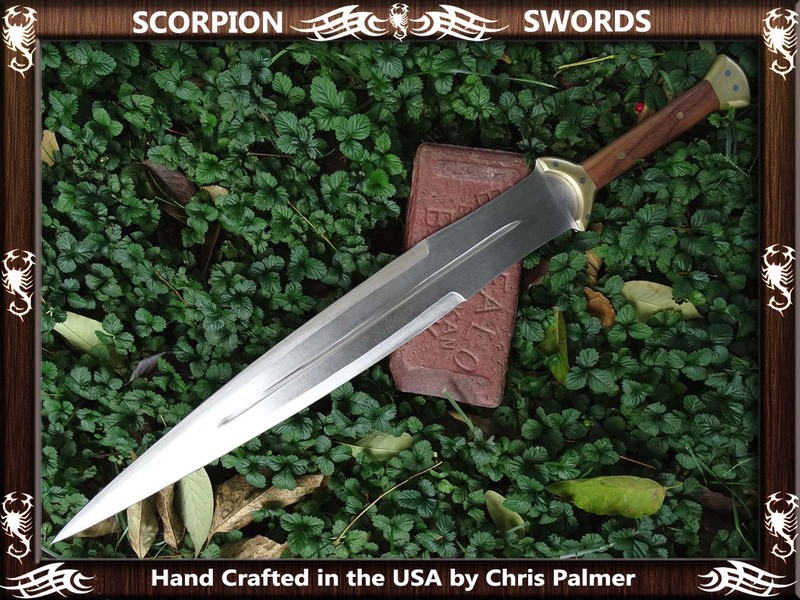 Individually Hand Made by Chris Palmer in the USA. Please allow 6-8 weeks for production and delivery. 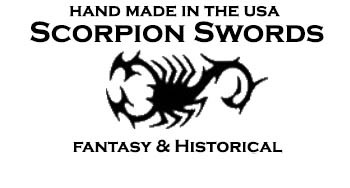 As each sword is made to order, please allow 4-6 weeks for production and delivery.